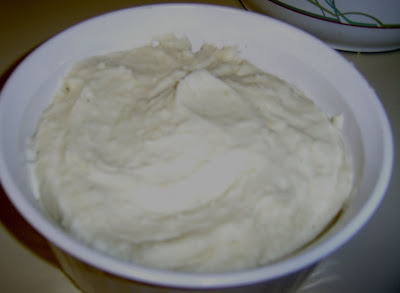 I love roasted garlic mashed potatoes. I found this recipe and decided to try it. It turned out very good with just enough garlic and parmesan cheese to tempt the taste buds. I did add 1 teaspoon of sugar to the mix as well. Place minced garlic in foil. Drizzle with olive oil, close up the foil and bake 30 minutes, or until golden brown. Bring a large pot of lightly salted water to boil. Add potatoes, and cook until tender but firm. About 15 minutes. Drain, and transfer to a large mixing bowl. Place roasted garlic, milk, Parmesan cheese, and butter into the bowl with the potatoes. Season with salt and pepper. Beat to desired consistency with an electric mixer.